Description of adults: Examined: Original description by Heath (1986). 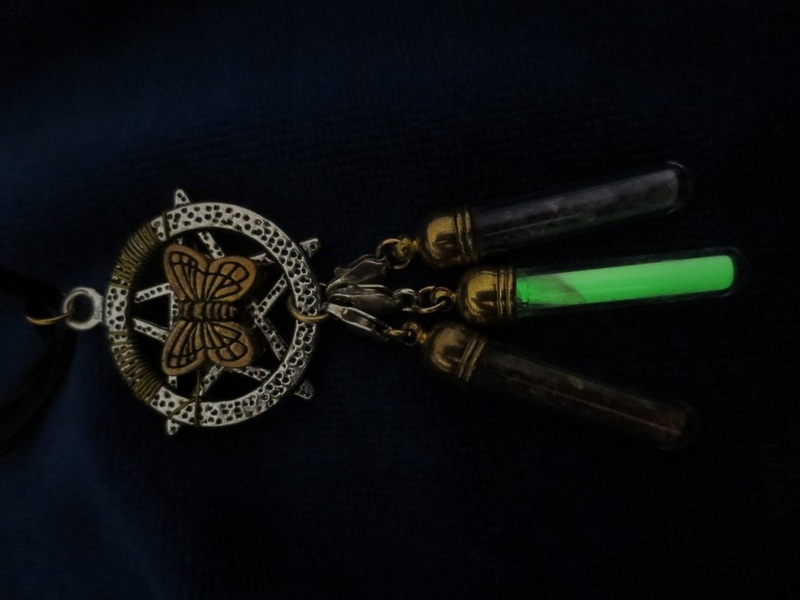 "Forewing length: 2.9 - 3.3 mm; 3.3 mm. Wing expanse: 6.0 - 6.9 mm; 7.0 mm. Head pale golden yellow; antenna golden fuscous, basal segment pale golden. Thorax golden; tegulae bronzy purple. Forewing (Fig. 4) deep bronzy purple with scattered blue scales, a broad fascia at one-third, narrowing costally, a broad fascia at one-half, narrow or broken medially (sometimes asymmetrically in the same specimen) and a large, broad, curved costal spot at three-quarters, extending into cilia, golden; cilia bronzy golden, apically paler. Hindwing bronzy grey, purple-tinged; cilia bronzy grey, apically paler." The species is only known from the type locality El Hadjar (formerly St. Joseph), 25 km south of Annaba, Algeria (Heath, 1986). Nothing is known about the biology of M. aureocapilla. The adults have been found on the wing at the end of march (Heath 1986). Genitalia. "Uncus short and club-shaped, completely fused with tegumen; accessory clasper long and slender with two small apical lobes, the inner one bearing two fairly long, very stout setae, the apical one bearing three similar, shorter setae and a row of very long, stout, pointed setae on opposite margin; an inner articulated, parallel-sided arm, bearing seven very long, stout, curved setae on apex. Clasper with apex and base greatly enlarged; apex with a long series of long, stout, pointed, marginal setae and a lobe with a group of long, stout setae on inner surface and a large group of long, stout, pointed basal setae arranged in a band on inner surface." (Heath 1986). Externally, the species is not recognizeable with certainty. The male genitalia however, are very distinctive. 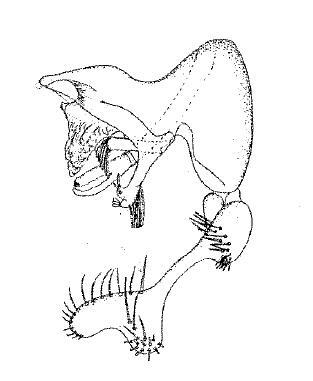 Phylogeny: The inflation of the valve base in the male genitalia suggest a relationship to some species around Micropterix klimeschi Heath, 1973, although there are some strinking differences too, like the inflated distal end of the valves or the additional parallel-sided arm inside the tegumen. Heath, J. 1986. The Micropterigid fauna of north Africa (Lepidoptera, Zeugloptera). Entomologist´s Gazette 37: 17-32, 126.